There are people conspiring to commit an offense against the United States and President Trump should take Rosenstein's words seriously and act accordingly to defend our nation against similar current and future efforts to attack our democracy. After having previously briefed President Donald Trump a few days earlier, Deputy Attorney General Rod Rosenstein announced the indictments of 12 Russian military intelligence officers, accused of conspiring to commit an offense against the United States—hacking into the Clinton presidential campaign and Democratic Party and releasing tens of thousands of stolen communications, in a sweeping effort by a foreign government to meddle in the 2016 U.S. election. Despite having been informed a few days earlier, and hours before Rosenstein’s announcement, the President of the United States on British national television (and to the whole wide world) vowed to ask Putin “firmly” about Moscow’s involvement in the last presidential election, but he warned that the “stupidity” of domestic politics and the special counsel’s ongoing probe into the issue was holding back U.S.-Russian relations. The indictment stands as the clearest Justice Department allegation yet of Russian efforts to interfere, through illegal hacking, in the U.S. presidential election before Americans went to the polls — and the first to implicate the Russian government directly. It had been sought by special counsel Robert Mueller. Rosenstein even announced that he intends to transaction “responsibility for this indictment to the Justice Department National Security Division while they await the apprehension of the defendants. That defaults the responsibility to the federal government—of whom President Trump is the chief executive in charge of enforcing laws, treaties, and court rulings. These charges come on top of previous charges of 14 Russians from earlier this year and mount a better case against Russia which will ultimately deny. But the President of the United States should not deny, nor overlook, the findings of his own Justice Department and F.B.I. Nor should Congress deny. 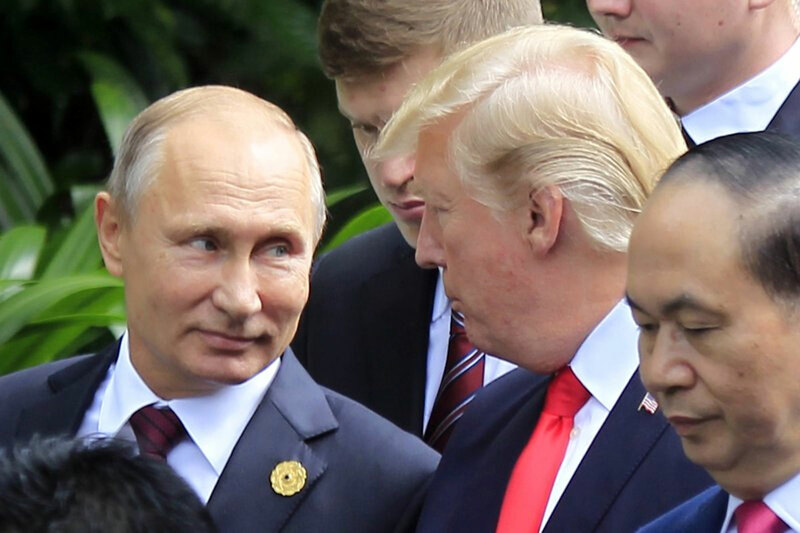 Recent indictments of Russians being involved in the meddling of the 2016 presidential elections, the charges against Paul Manafort (Trump campaign’s manager) and the guilty pleas from other campaign staffs–Michael Flynn, Richard Gates, George Papadopoulos– are reasons enough for President Donald Trump to seek a deal with Russian President Vladimir Putin to end Moscow’s interference in American elections, publicly condemn Russia for meddling into the 2016 presidential elections, and move to make Russia pay a price for its actions, even to the detriment of future relations. President Trump should not be afraid; the world and the majority of the American people will be on his side. The response of conservatives within the GOP-controlled Congress was to prepare a new push to oust Deputy Attorney General Rod Rosenstein, putting the finishing touches on an impeachment filing. House Freedom Caucus Chairman Mark Meadows, in fact, had the impeachment document on the floor of the House at the very moment that Rosenstein spoke to reporters and TV cameras Friday. “The Special counsel’s investigation is ongoing, there will be no comments from the Special counsel at this time. This indictment serves as a reminder that people are not always who they appear to be on the Internet. The indictment alleges that Russians conspirators ‘want’ to promote discord in the United States and undermine Public confidence in democracy. We must not allow them to succeed. Editorial: Conspiring to commit an offense against the United States, reads the indictment of 12 Russians by the Department of Justice. What’s next?